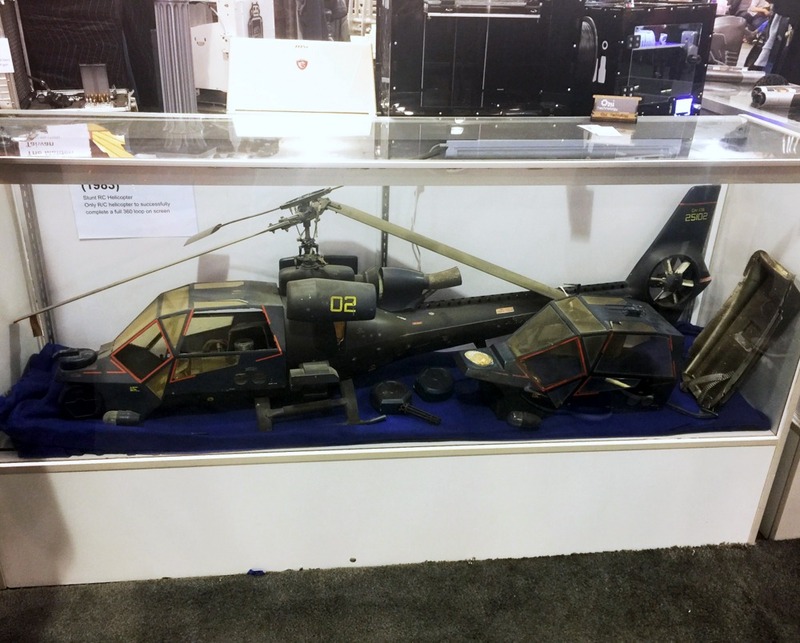 THE SPECIAL presents an exclusive bulletin from the halls of the San Hose Convention Centre where the above images of a familiar r/c model were captured by keen-eyed exhibitor Jason Beckwith (of Never Static Pictures.com). 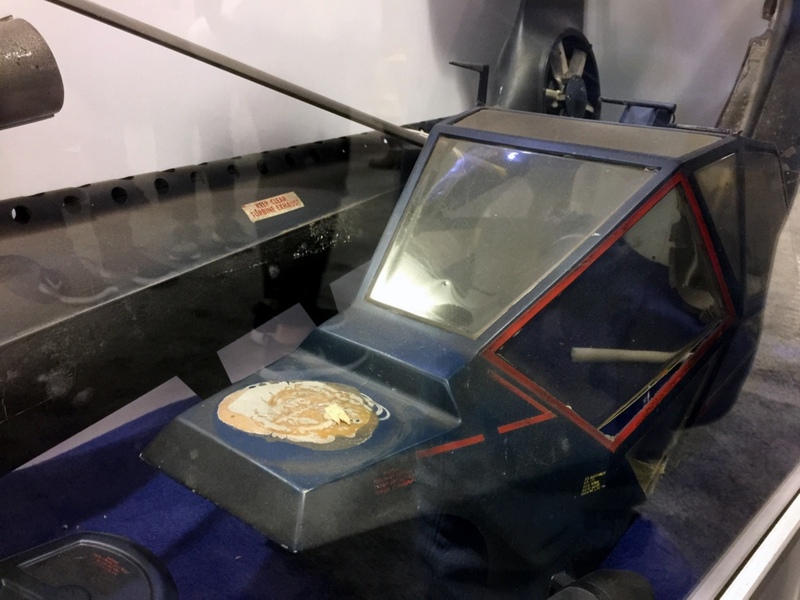 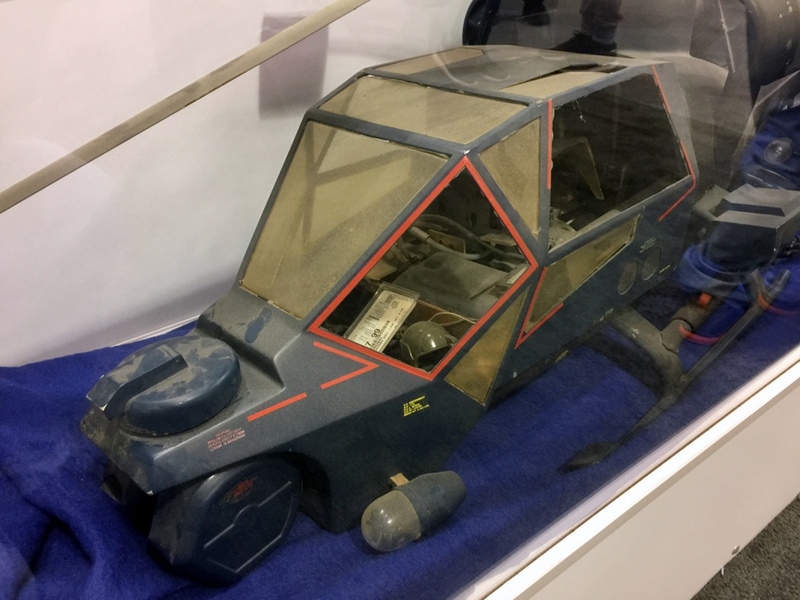 Indeed, those who attended the Silicone Valley Comic-Con this past weekend were treated to a unique pop-up museum of vintage prop vehicles, featuring everything from a 1:1 scale Spinner car from Blade Runner to a filming miniature of the 1989 Batmobile. 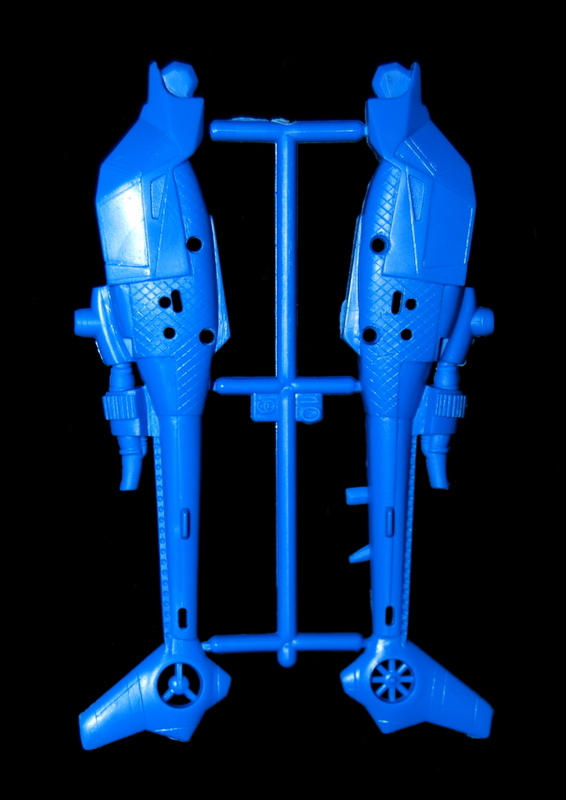 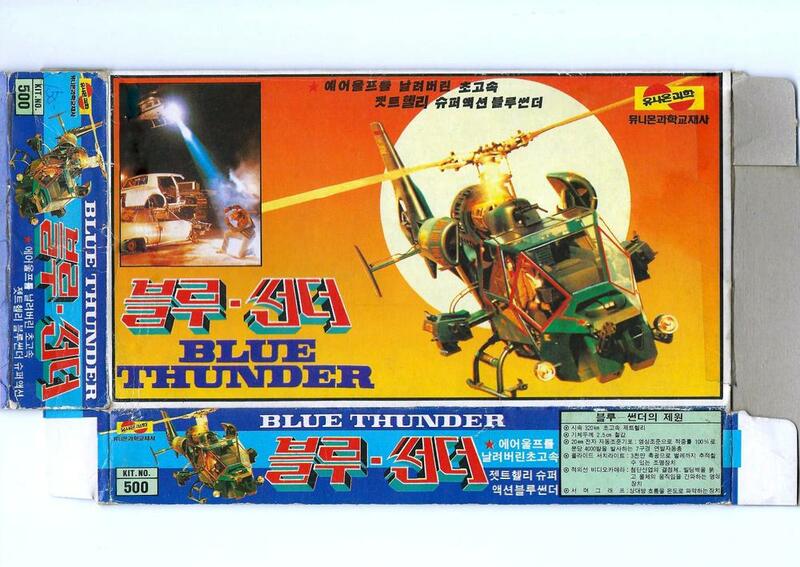 This latest addition to the vault of THE SPECIAL represents the end of a 20+ year pursuit to secure this most rare of true vintage Blue Thunder collectables. 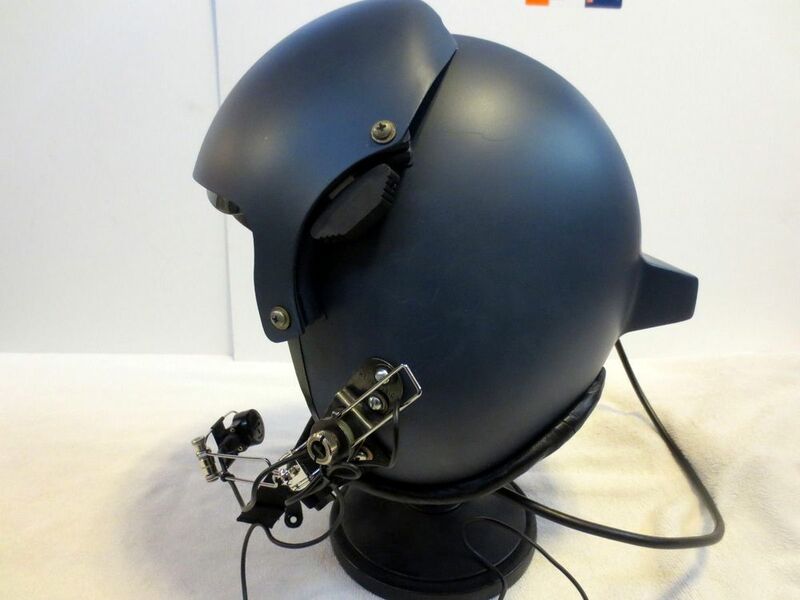 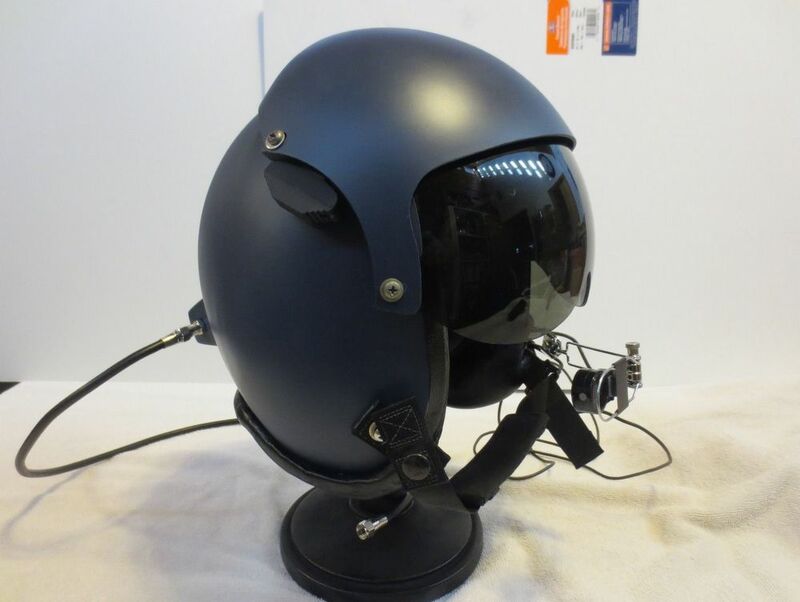 Kit No 500 would appear to be the Big Brother(!) 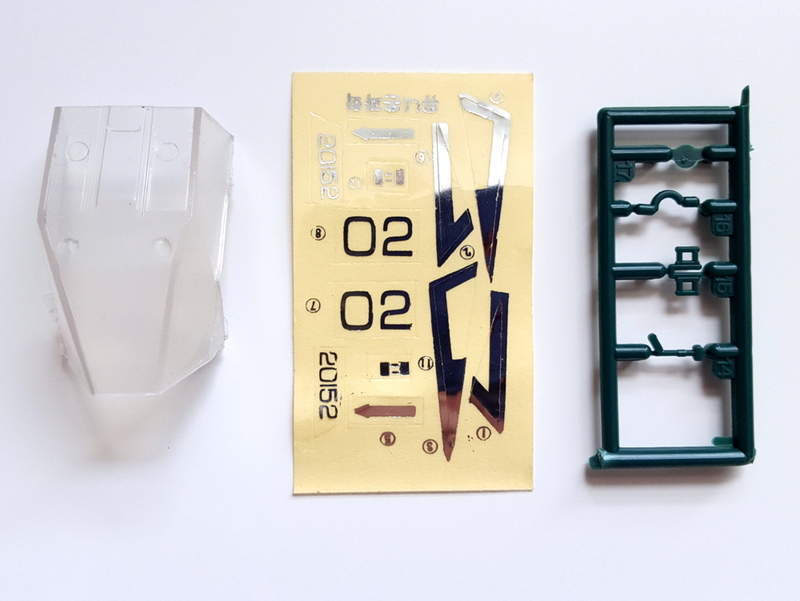 of the mini kit from South Korea showcased on the site previously, where thanks to followers of the site we understand the number relates to price (Korean Won) rather than an indication of scale. 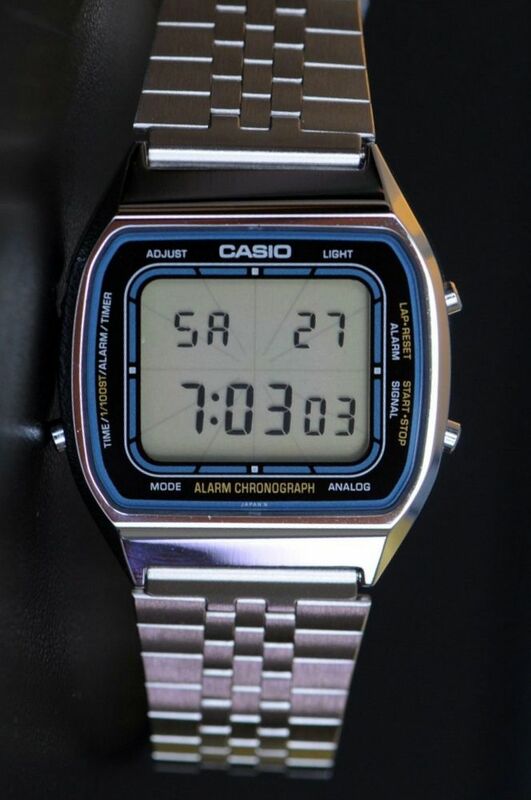 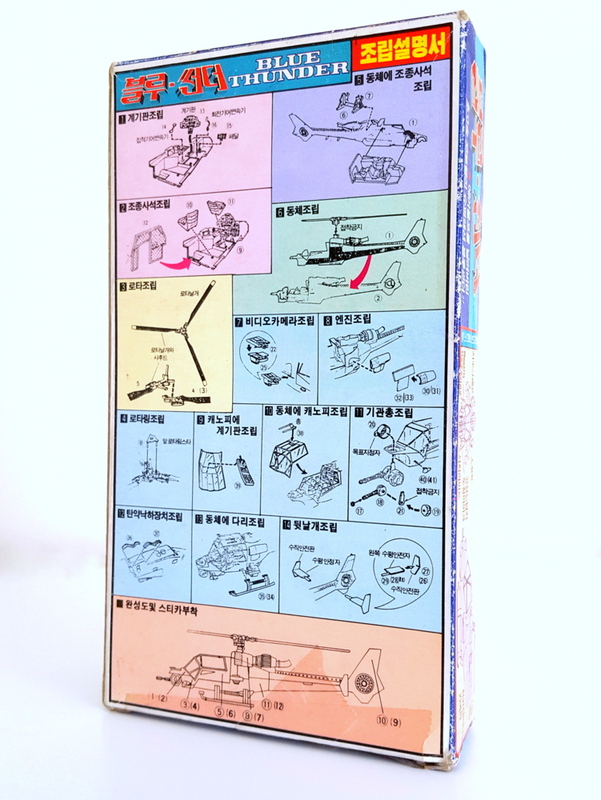 This boxed, complete example has survived remarkably well given its fragility with all parts and sticker sheet contained within a clear plastic envelope. 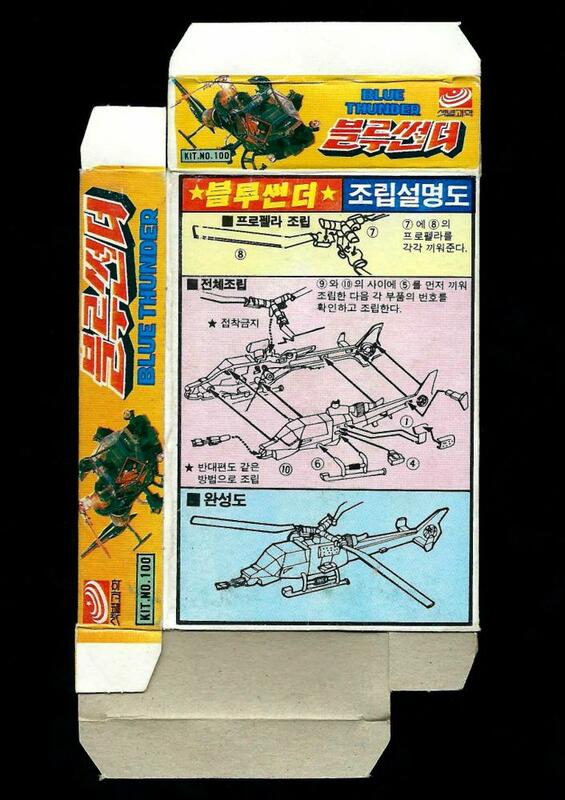 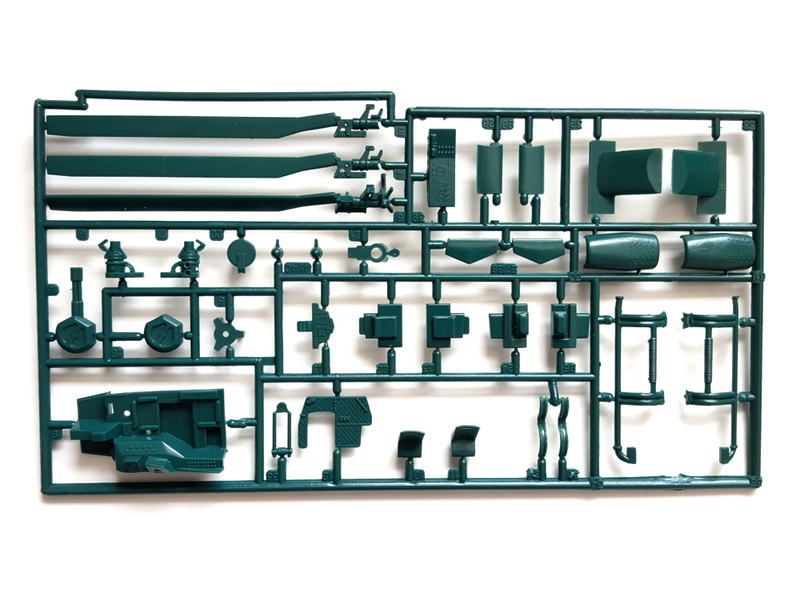 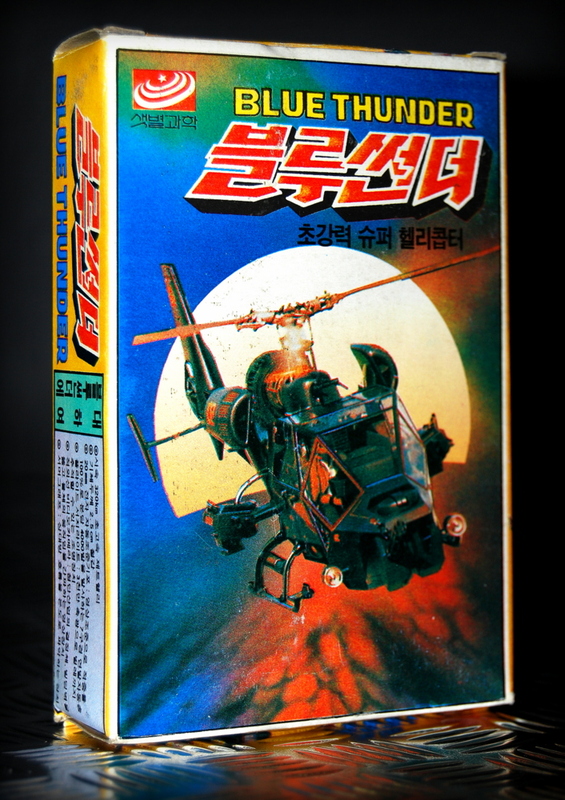 Presented in a bright, full colour box with instructions printed on the rear in Korean, the kit itself is inexplicably molded in dark green with a clear canopy and bizarre metallic silver sticker sheet. 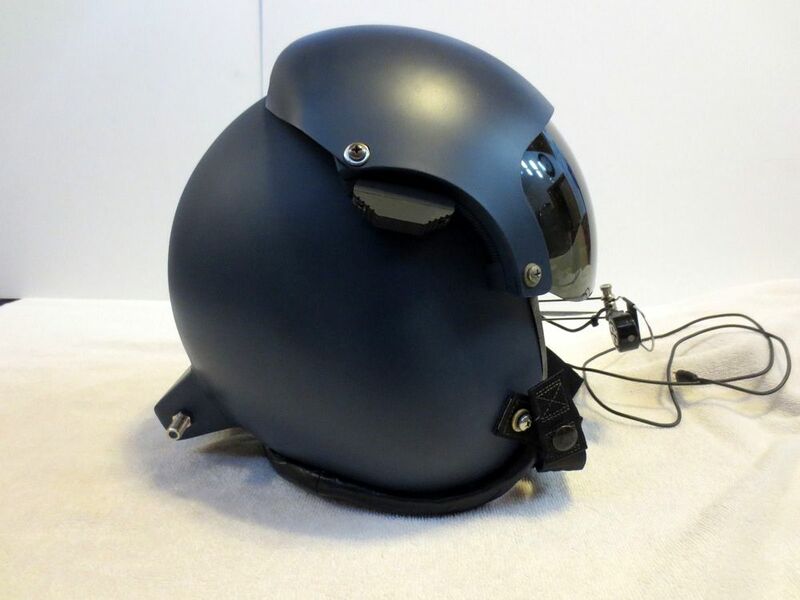 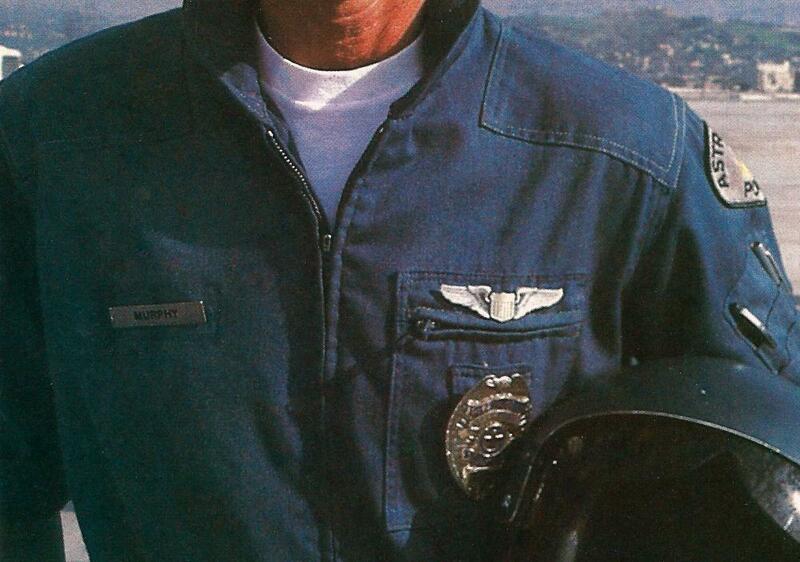 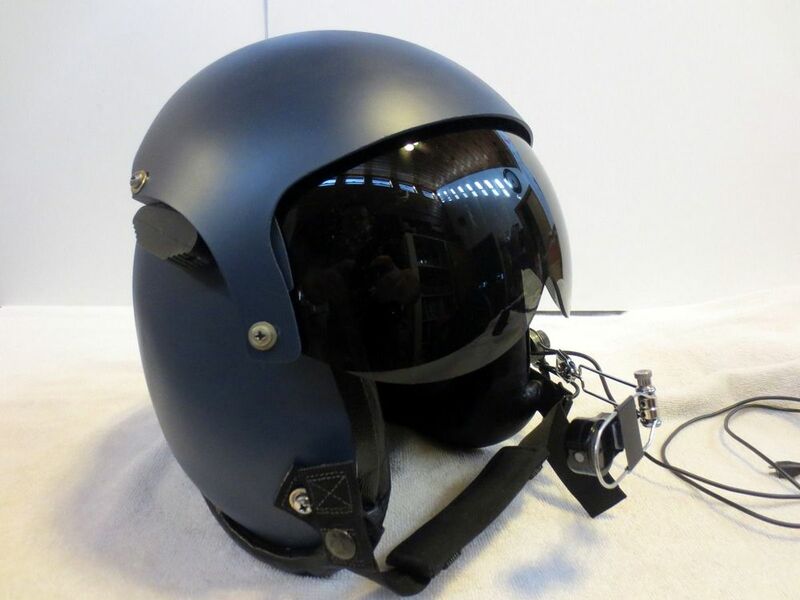 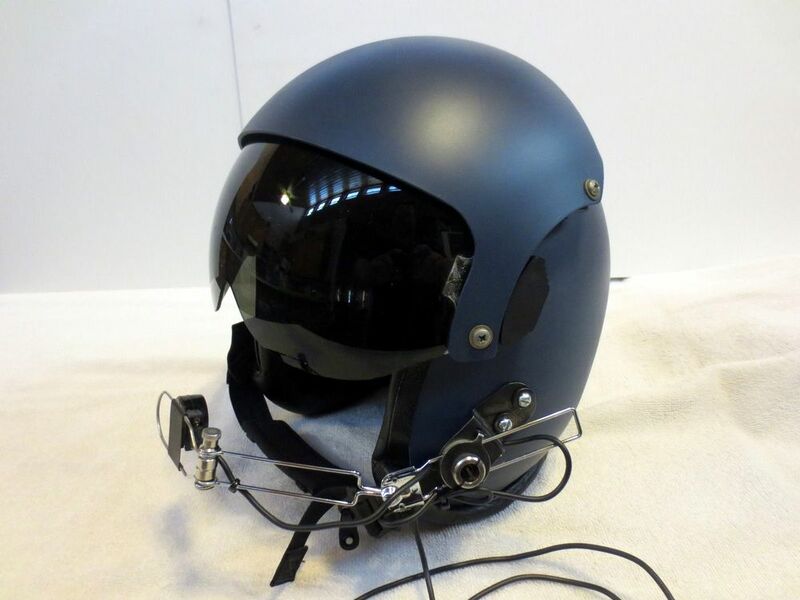 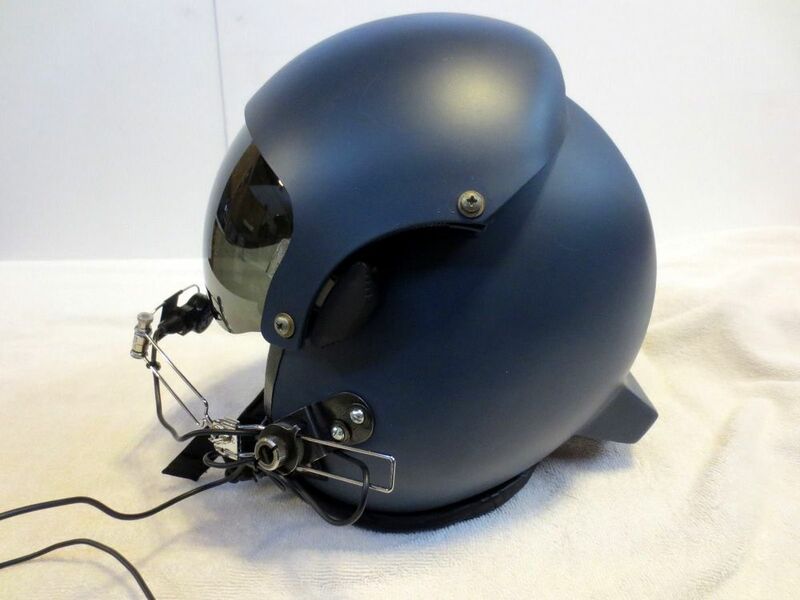 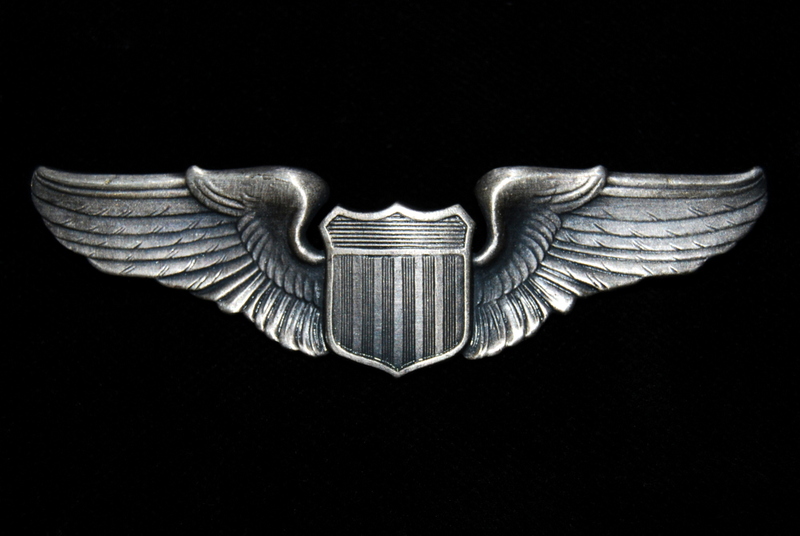 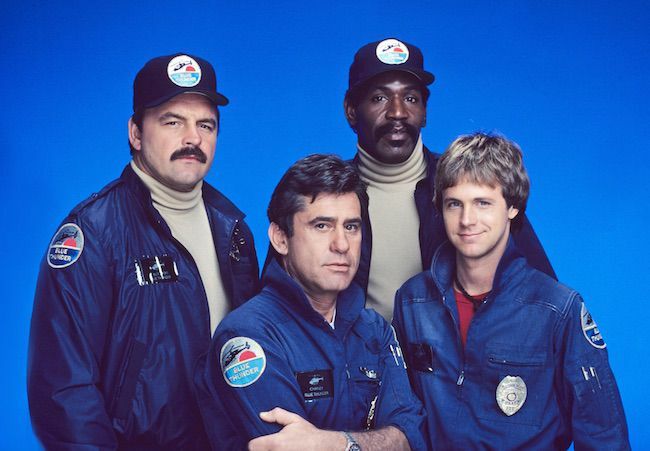 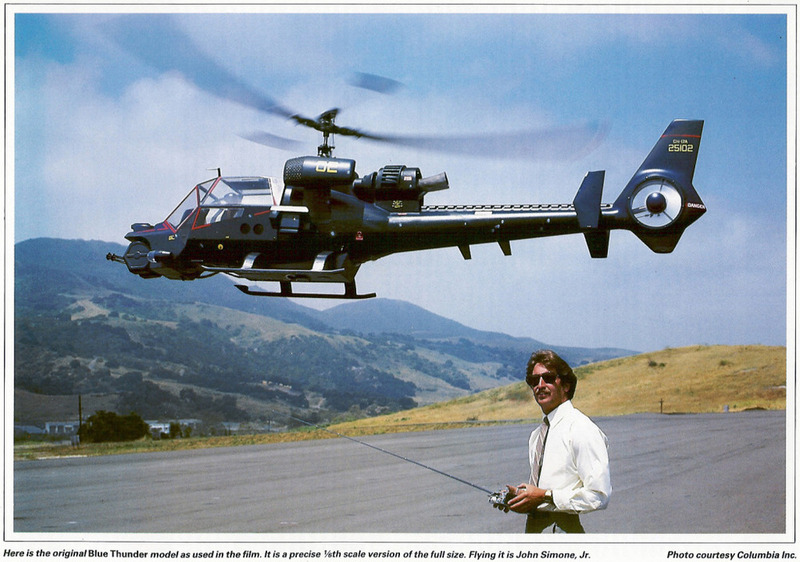 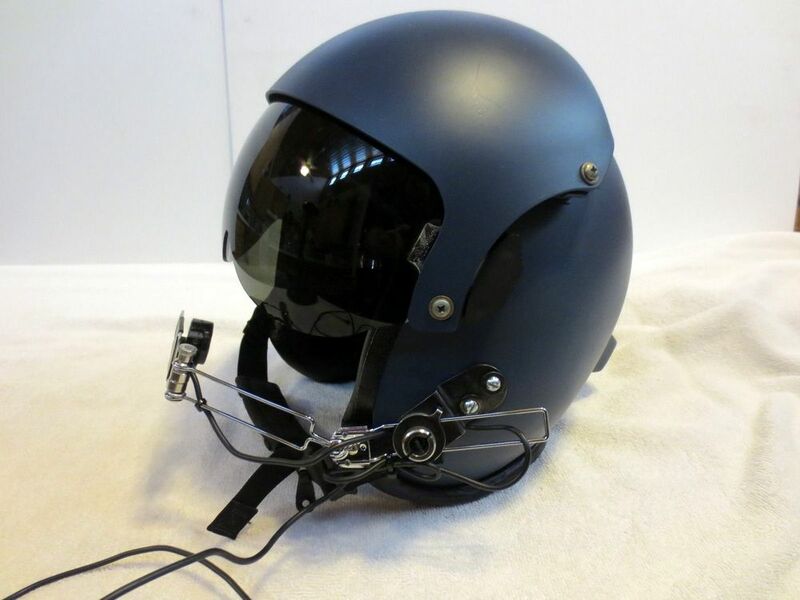 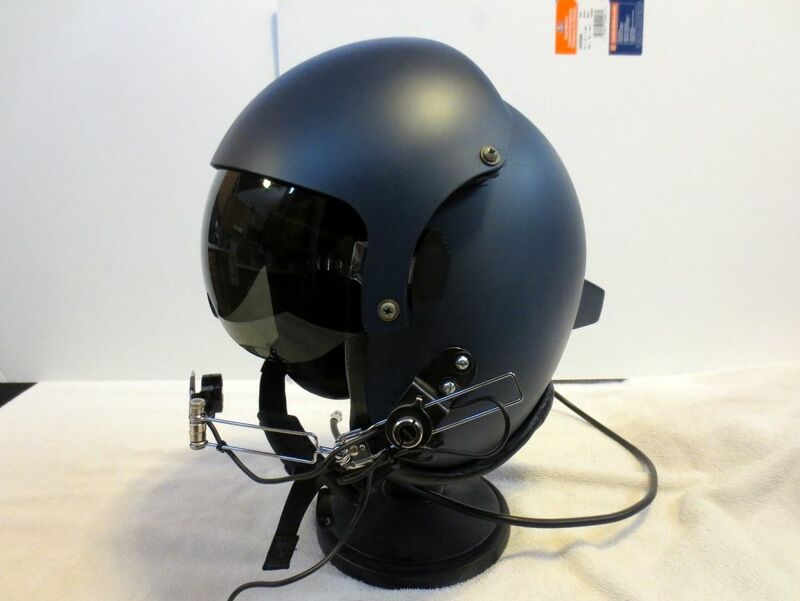 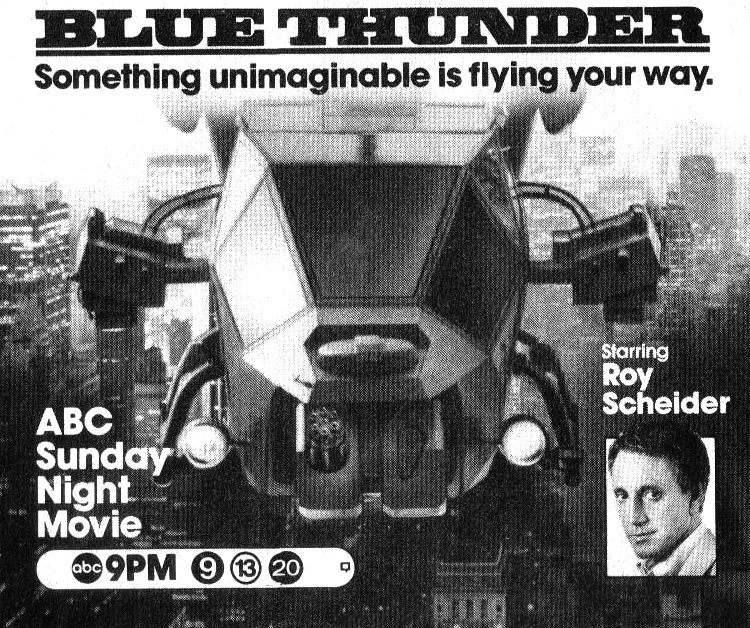 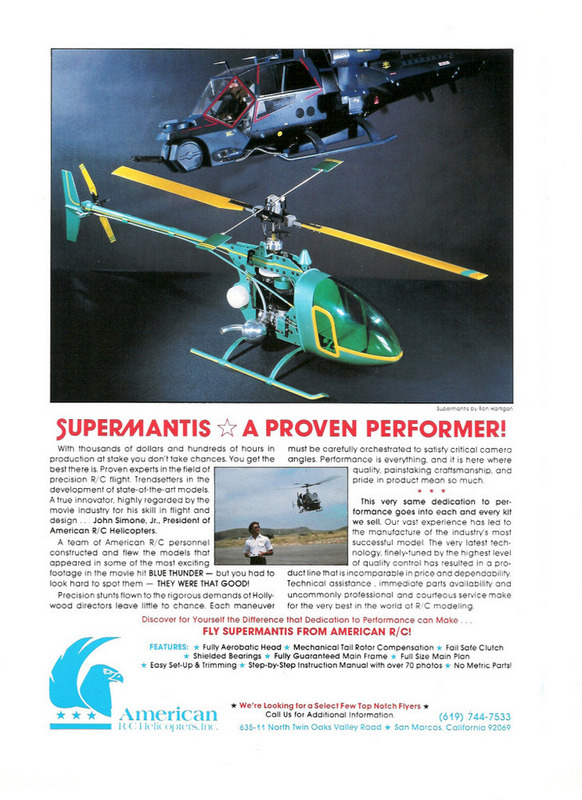 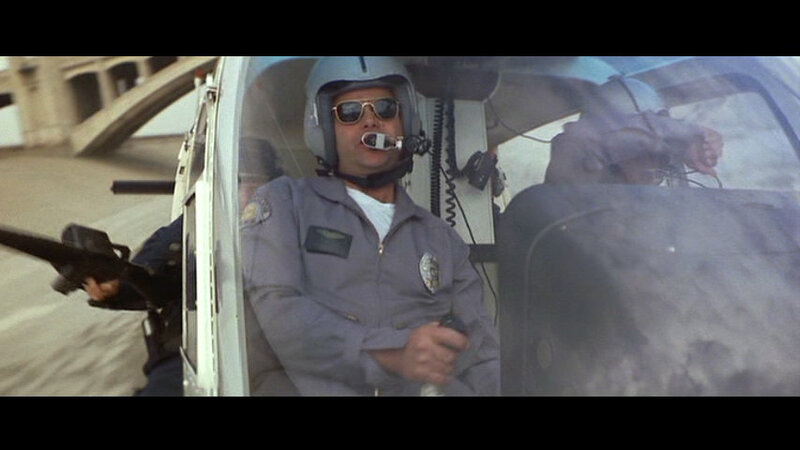 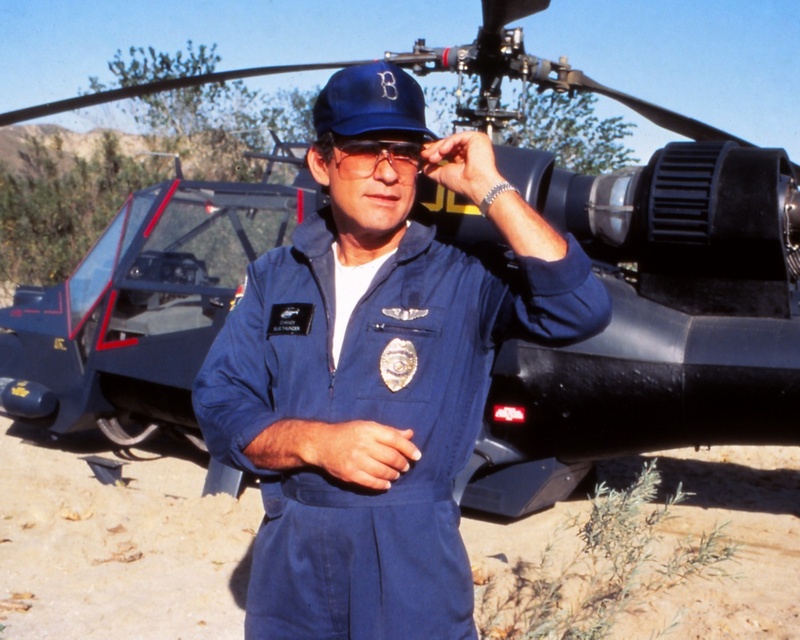 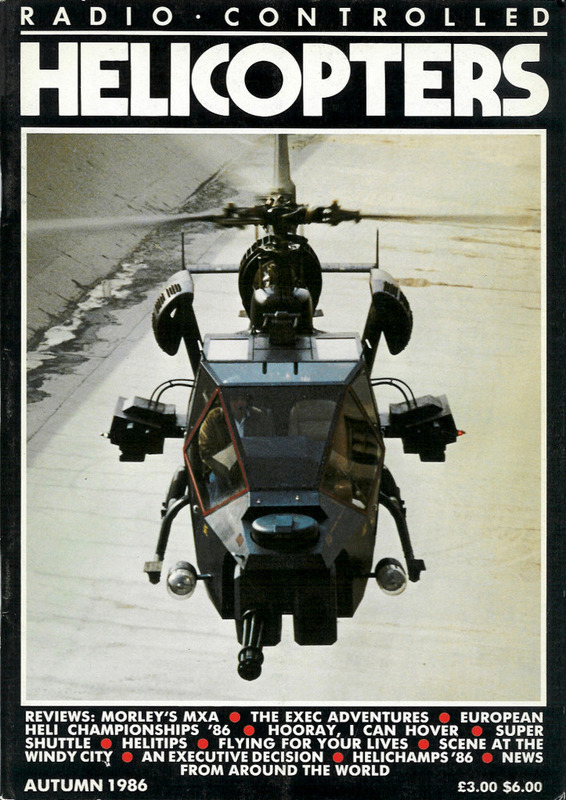 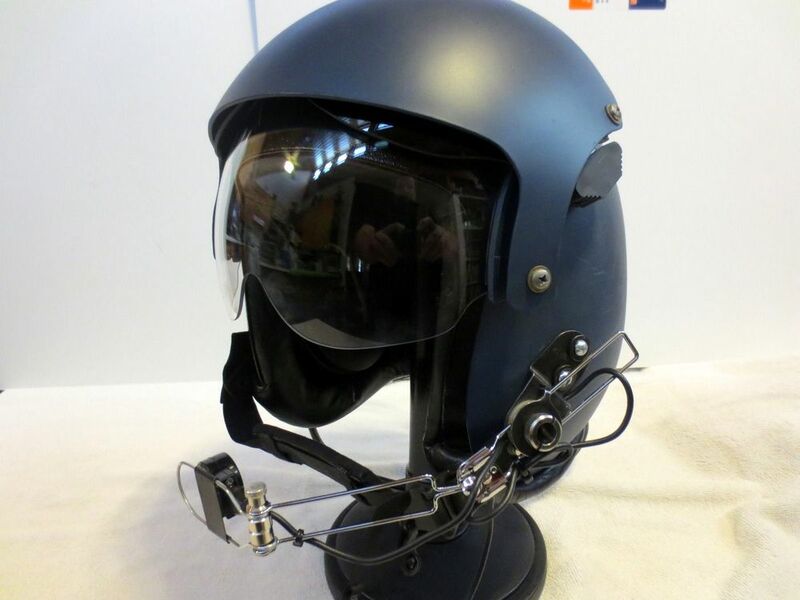 THE SPECIAL is honoured to present this unique account shared by the son of one of the unsung heroes of Blue Thunder and a significant contributor to its nail-biting aerial authenticity. 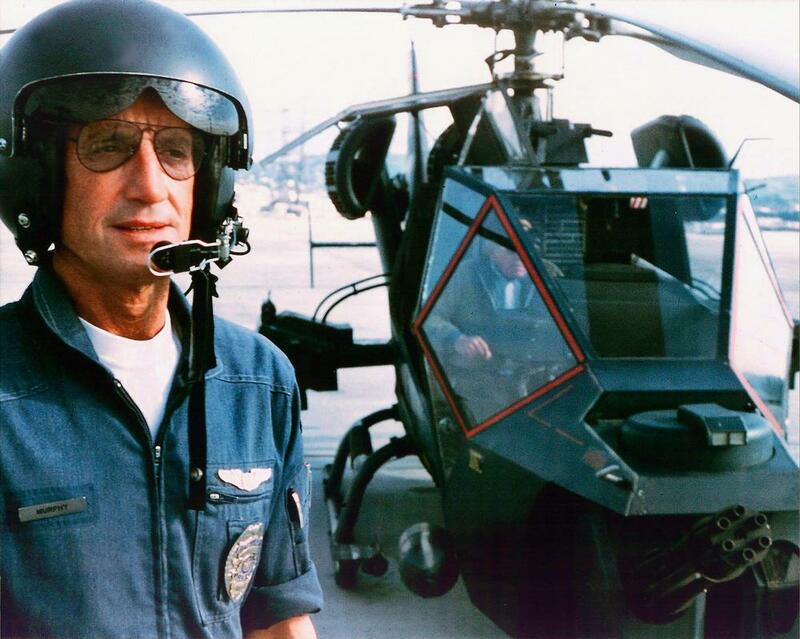 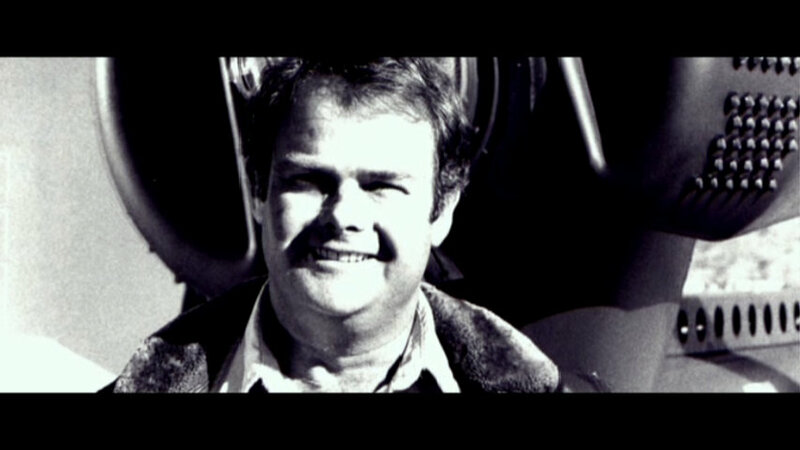 Veteran Helicopter pilot Karl Wickman (above) performed a number of stunts on the show, flying everything from the camera ship to the Police Jetrangers to doubling Malcolm McDowell for the climactic dogfight between Murphy and Colonel Cochrane. 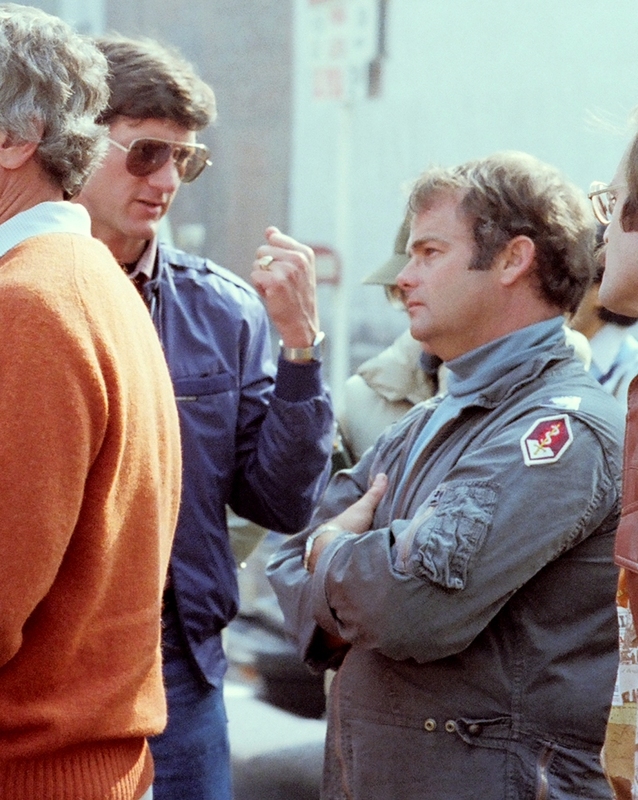 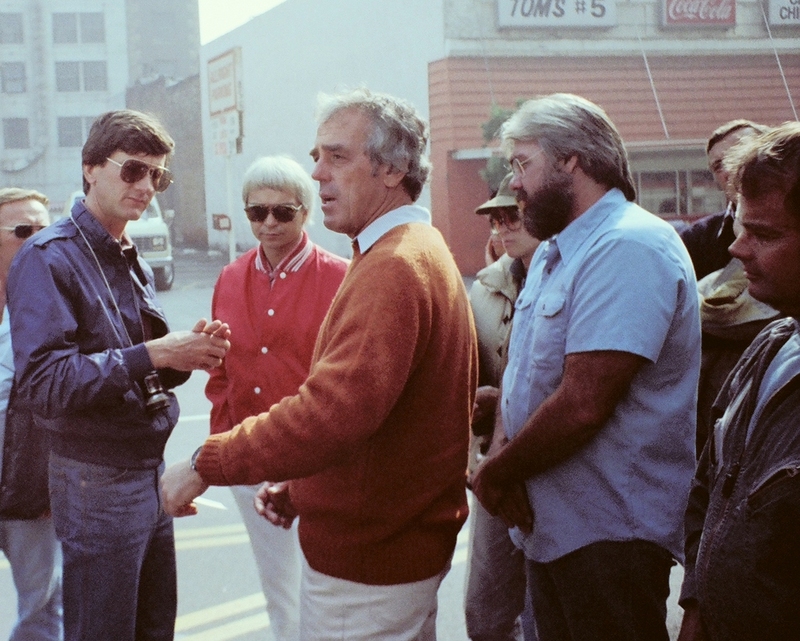 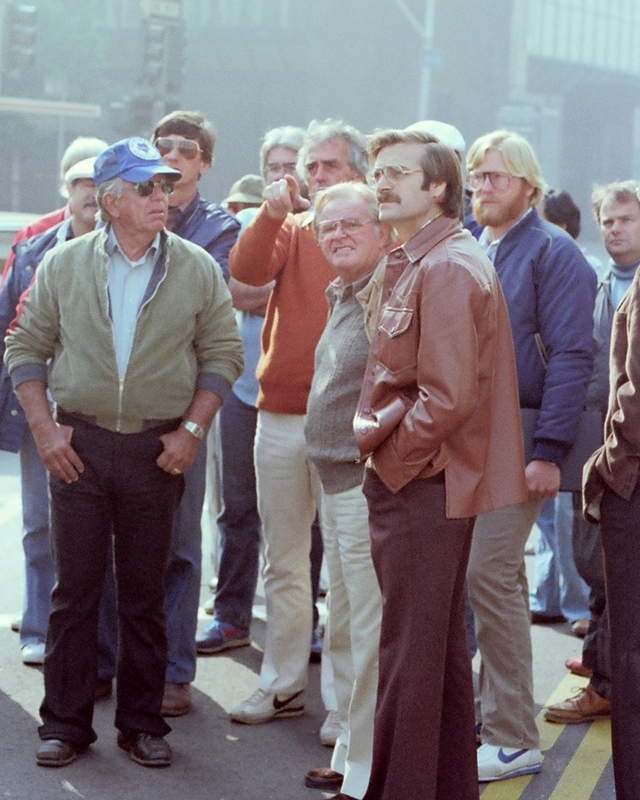 During the rehearsal of one of the chase scenes, through and around LA, the turbine wheel separated in the 500. 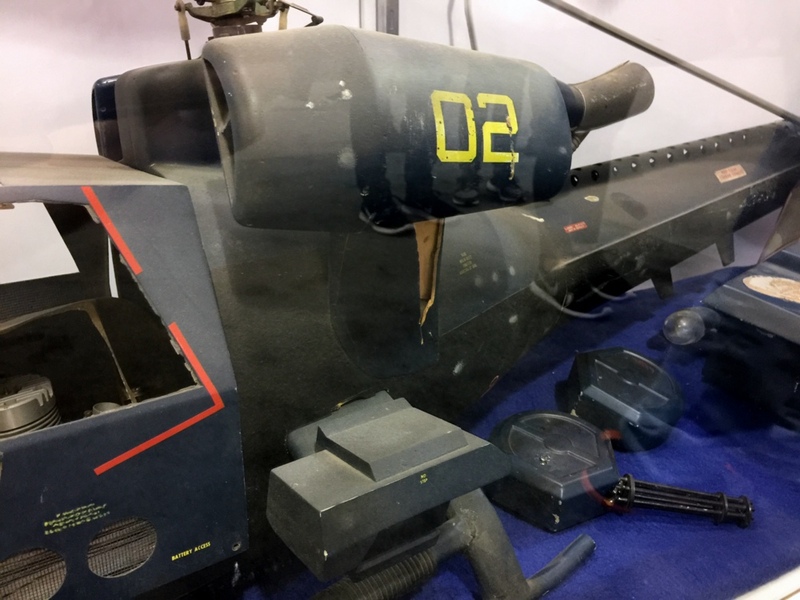 Its very surreal seeing puffs of smoke coming from the exhaust and it (the 500) immediately pitch forward and straight down. 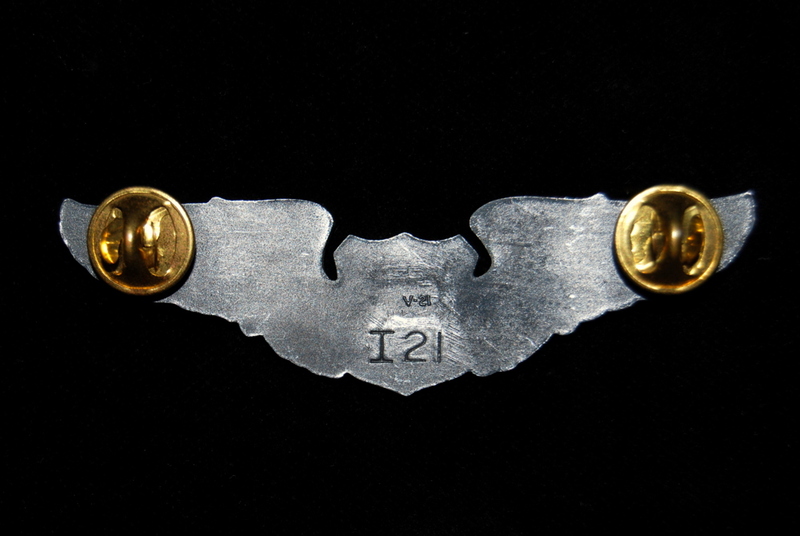 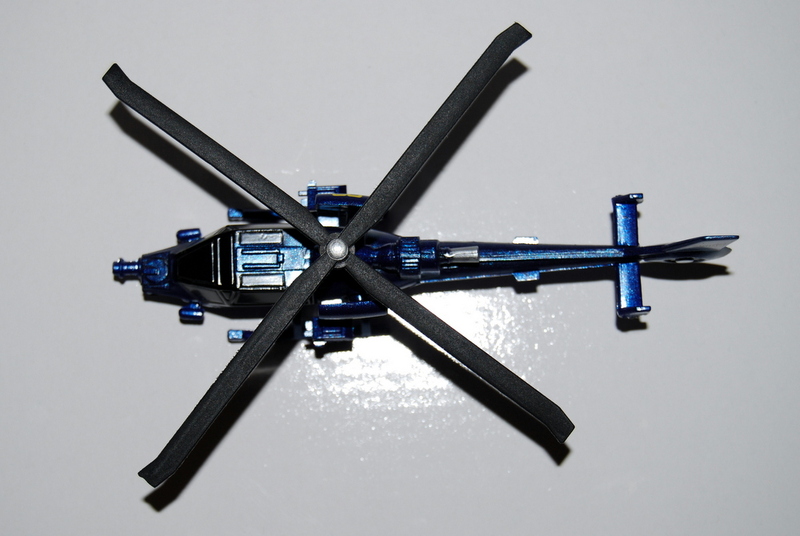 It looked like it had the glide slope angle of a set of keys! 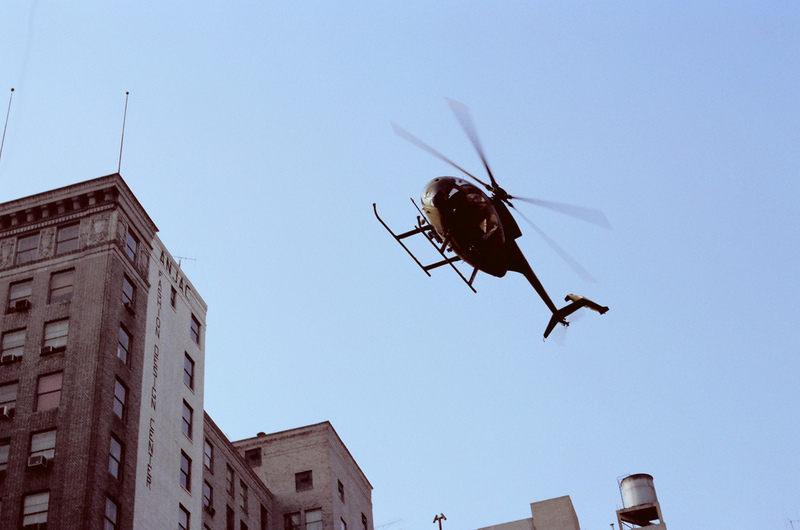 The camera followed him down as far as he could articulate because it was shooting from the top of a building with 2 – 3 foot high false wall so it didn’t catch the landing, and even if it had, the camera man put his hand over the lens as if he didn’t want to see the end results. 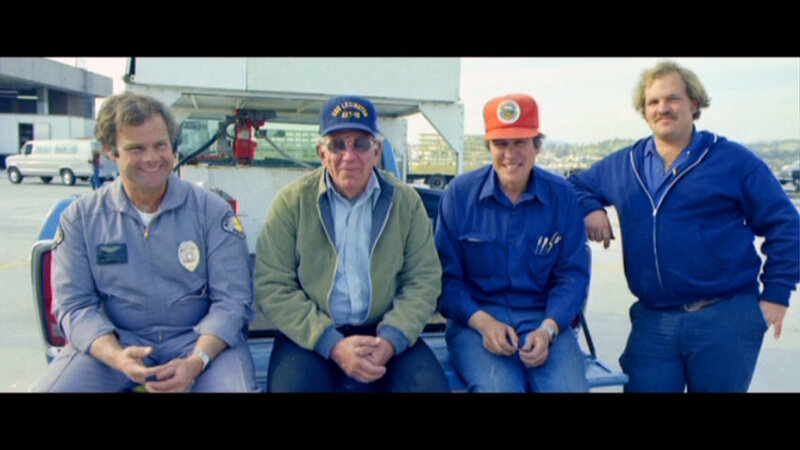 This is captured on tape and was later given to my dad. 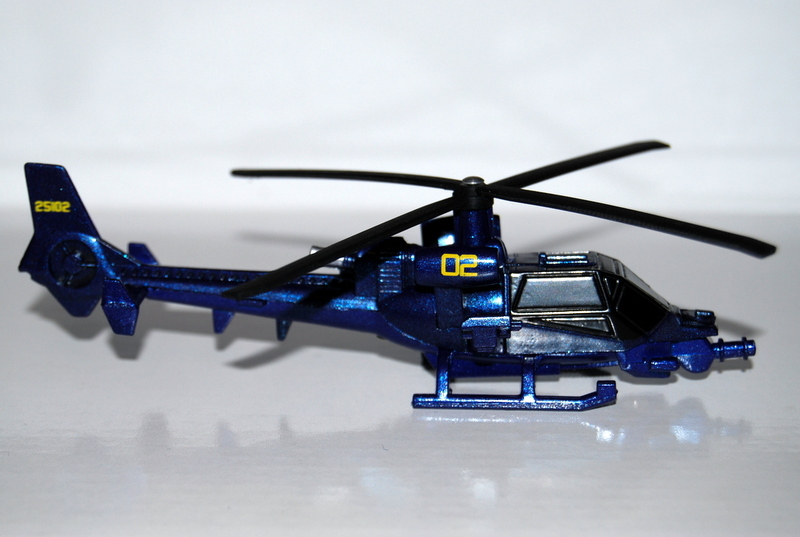 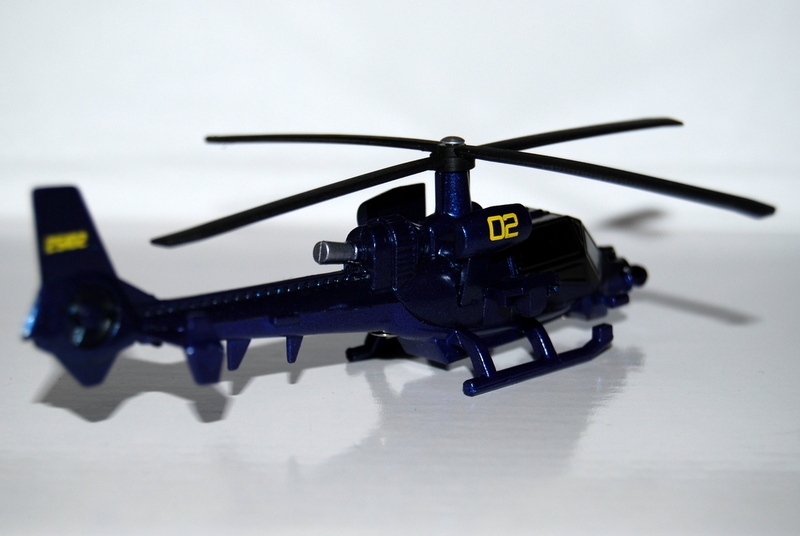 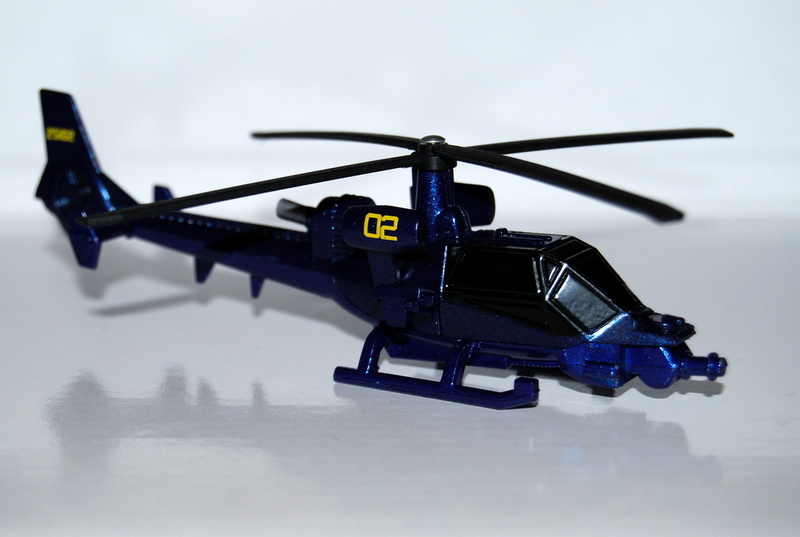 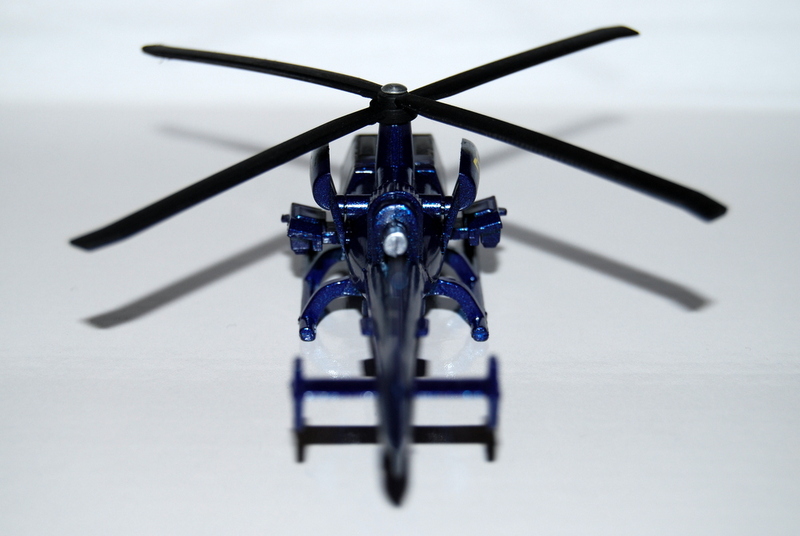 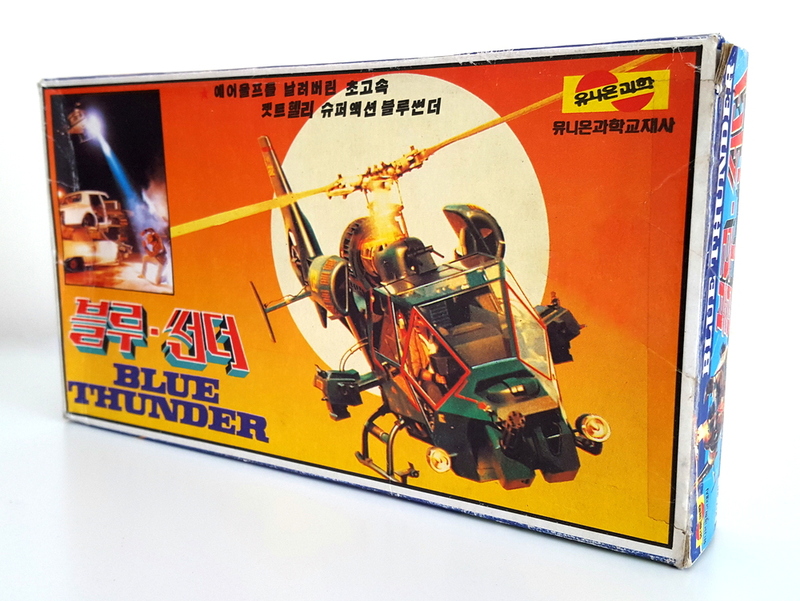 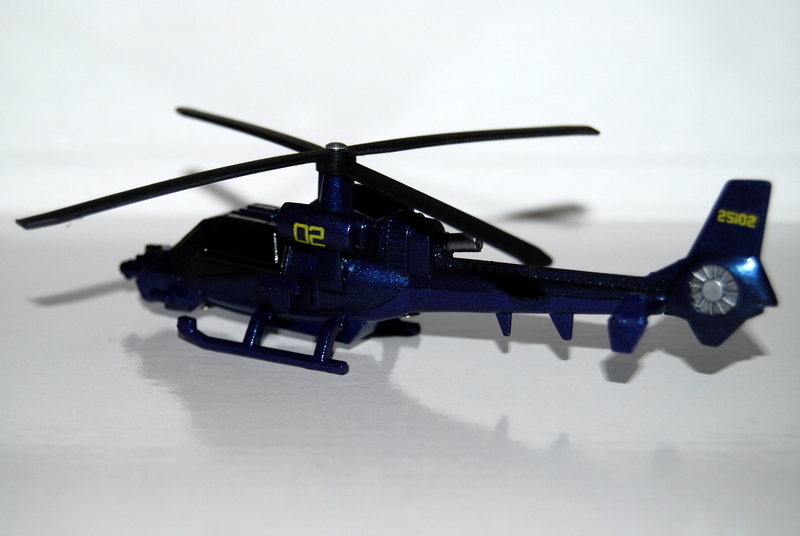 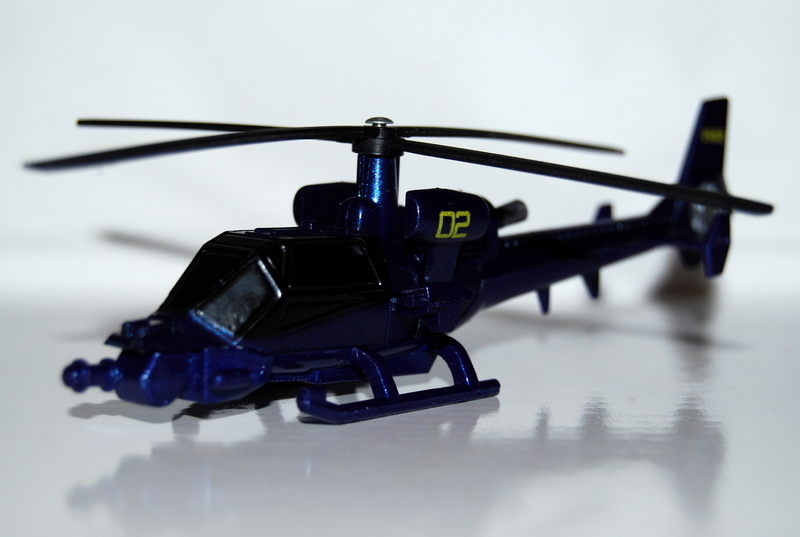 THE SPECIAL is proud to present the end result of a diligent decades-long search – the super-rare diecast Blue Thunder helicopter from UK company Toyway. 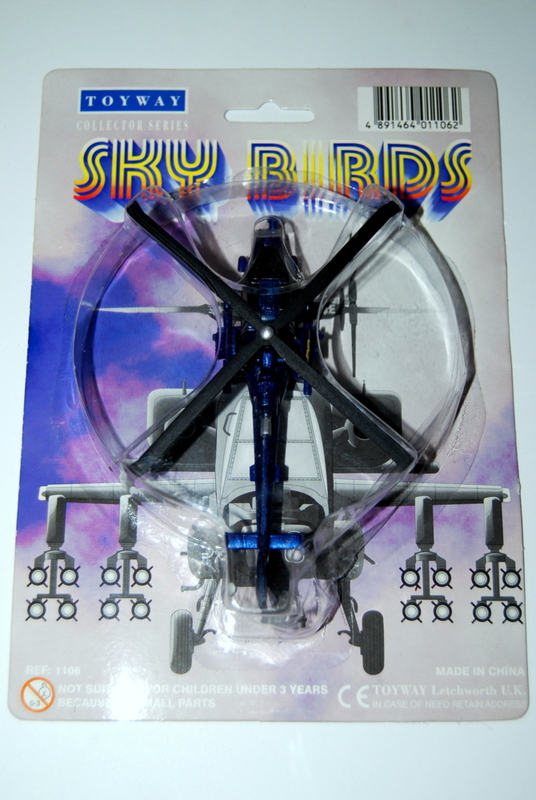 Approx 6″ long and released as part of the ‘Sky Birds’ collector series, this unlicensed replica (mounted anonymously on a backing card with Apache artwork) is one of two versions made (the other an unlikely US Coastguard red). 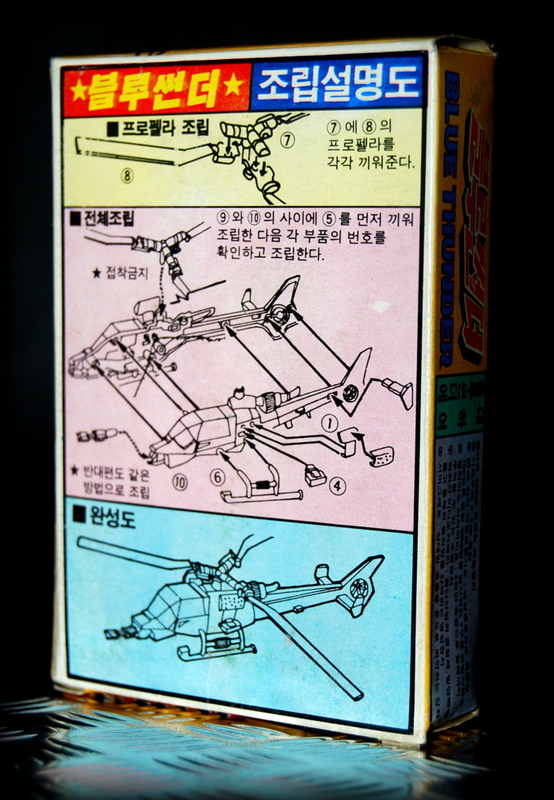 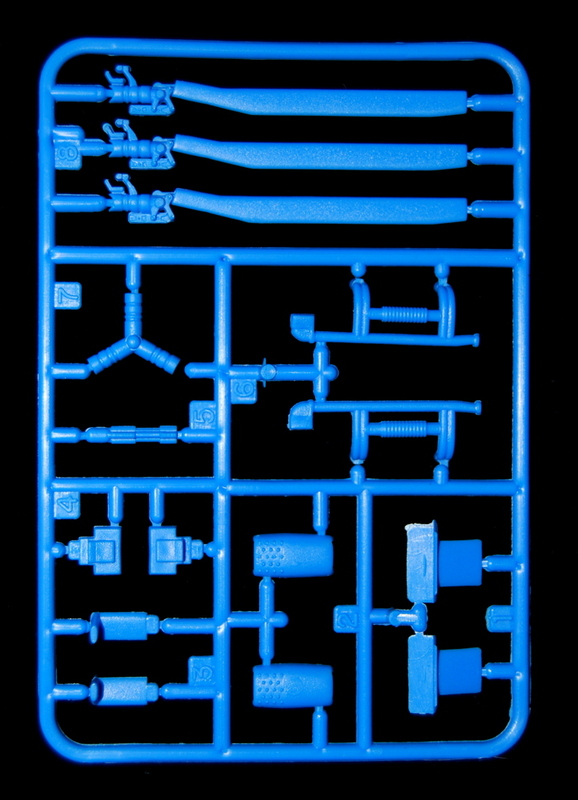 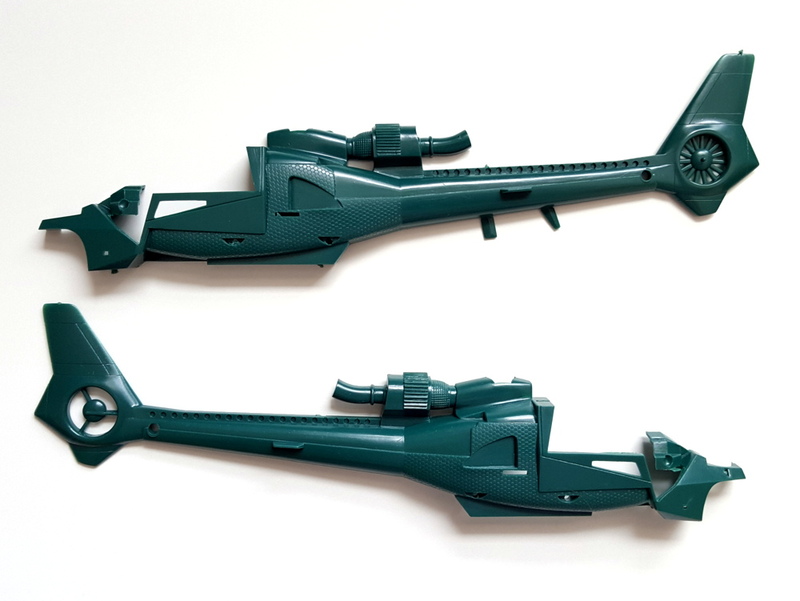 Apart from the unwelcome fourth rotor blade and stubby cannon (presumably to meet safety standards) this tooling is reasonably accurate for the scale, with plenty of detail captured in the plastic parts (canopy/tail) and even featuring the correct decals. 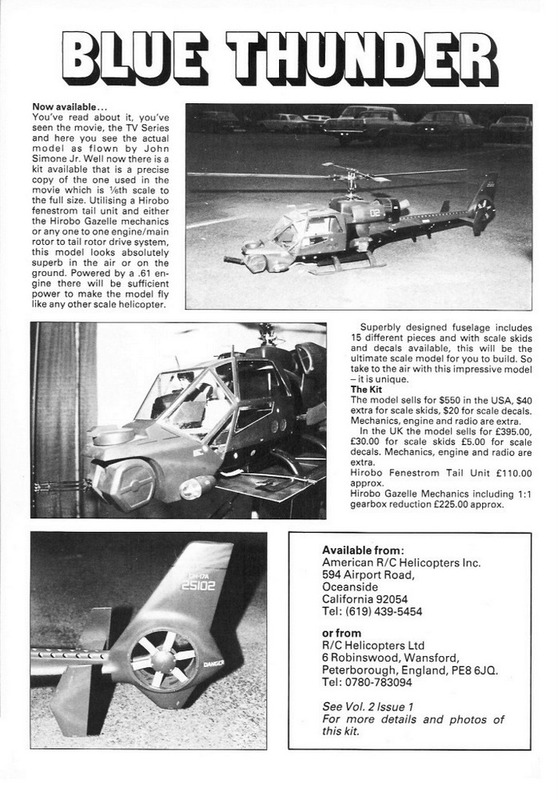 Enjoy these random snippets from various vintage Radio Control helicopter magazines rescued from the Google ether. 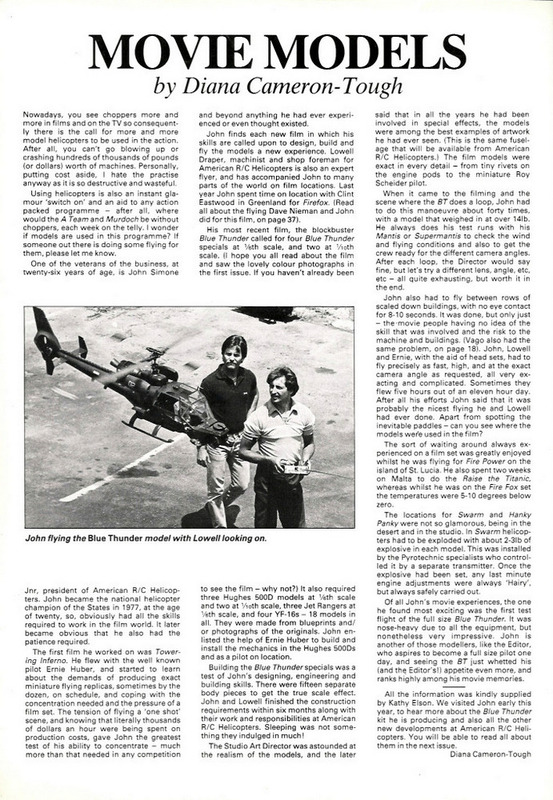 The article by Diane Cameron-Tough is particularly interesting as it claims Hollywood remote flying supremo John Simone Jr. (third pic) performed the famous climatic loop over forty times before making a suitable take. 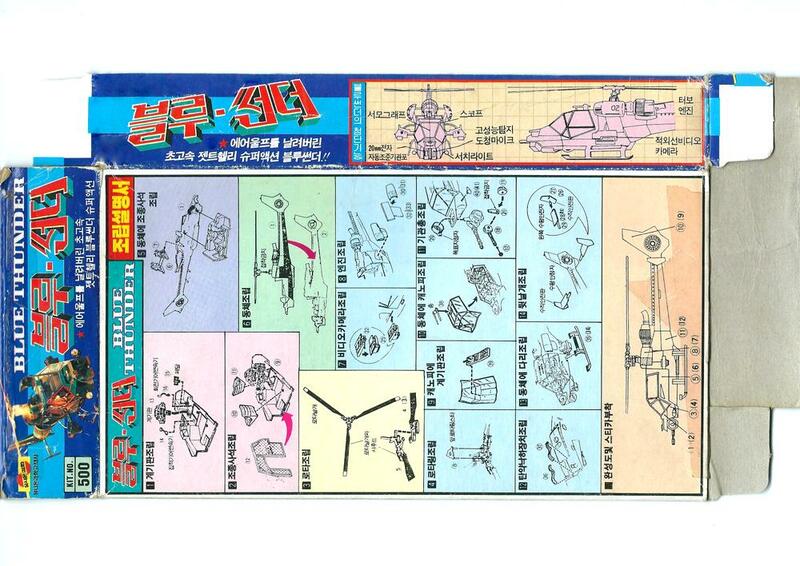 Between this and often flying blind through miniature street sets its a minor miracle any of his four handmade models survived the shoot to this day. 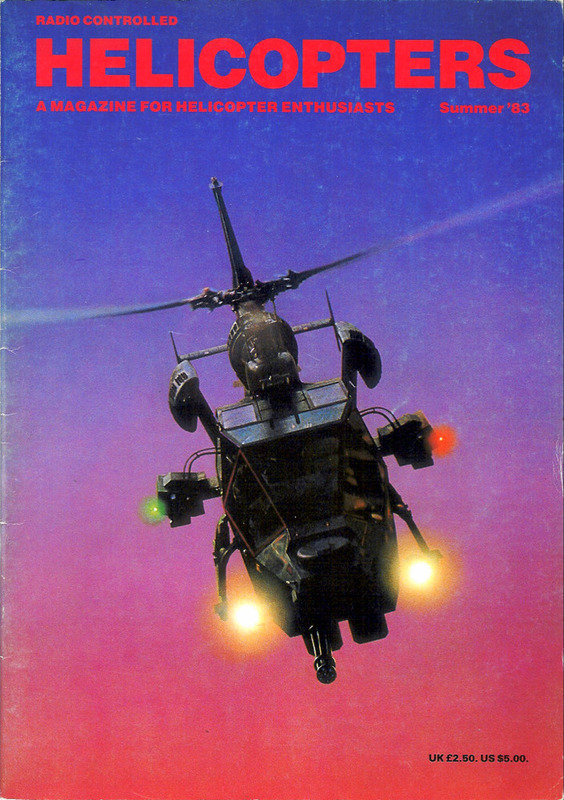 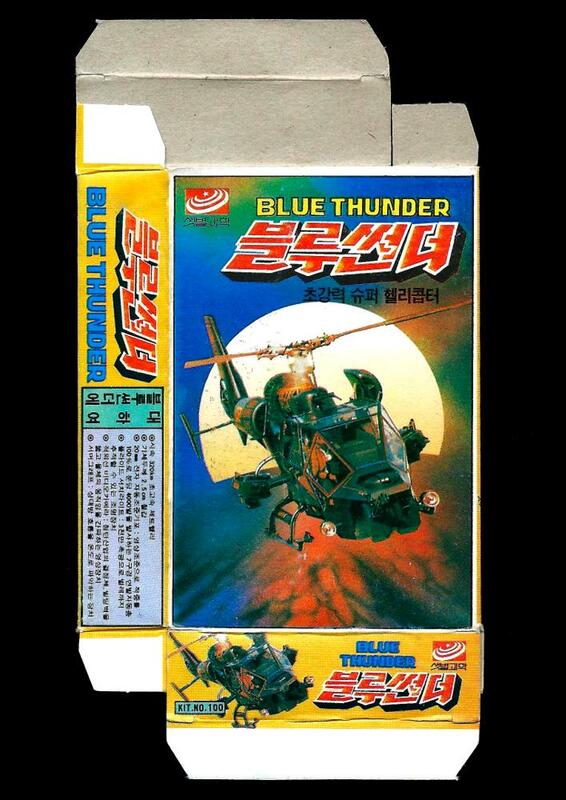 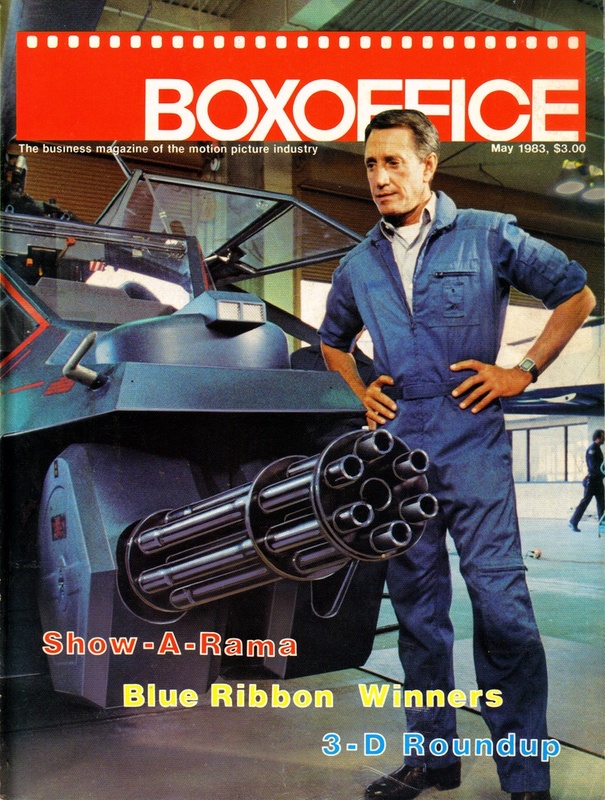 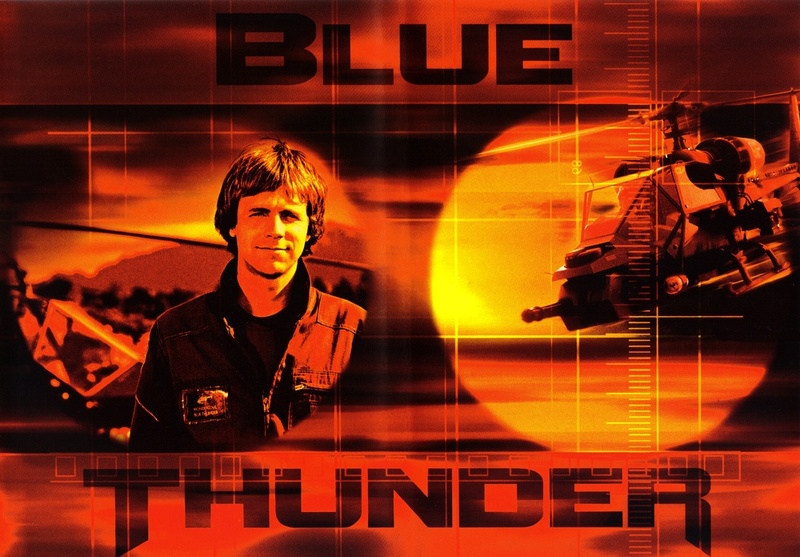 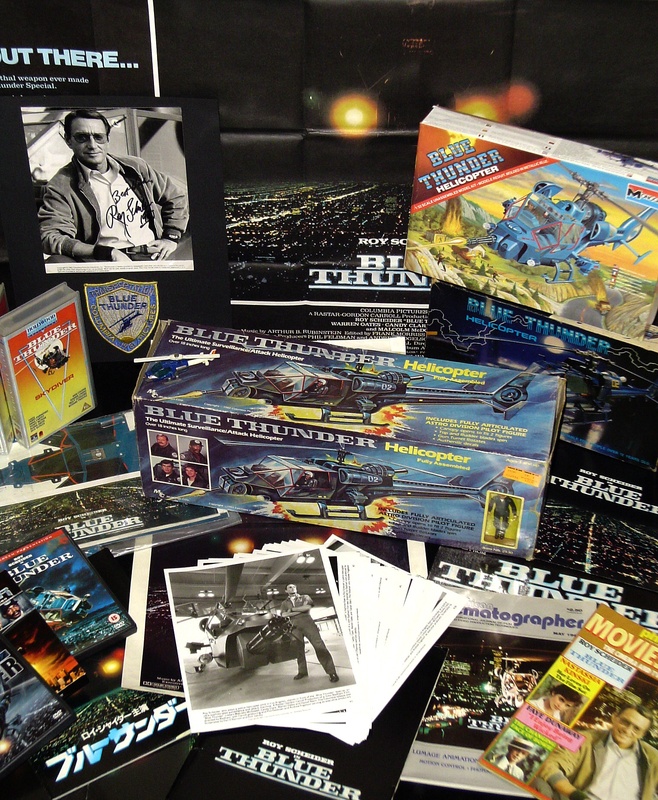 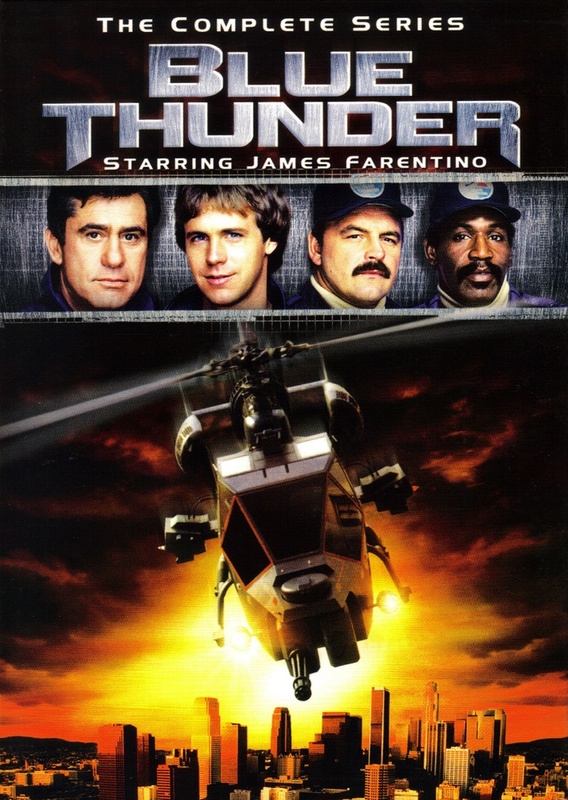 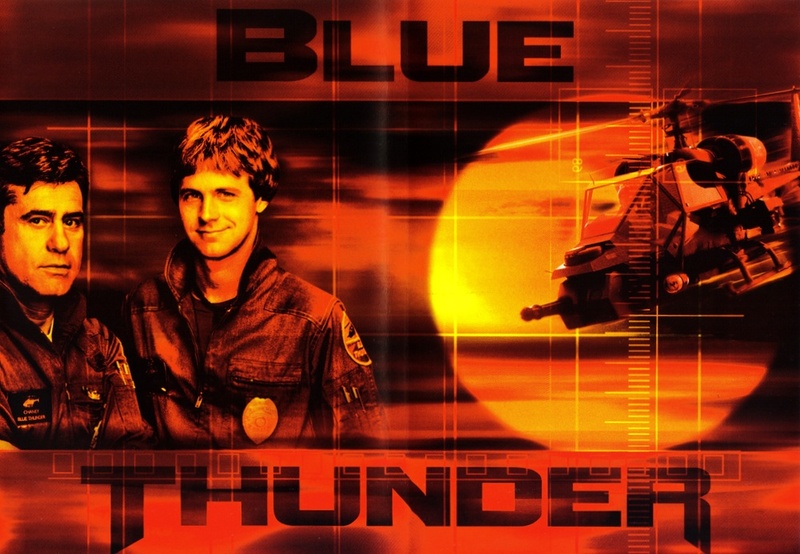 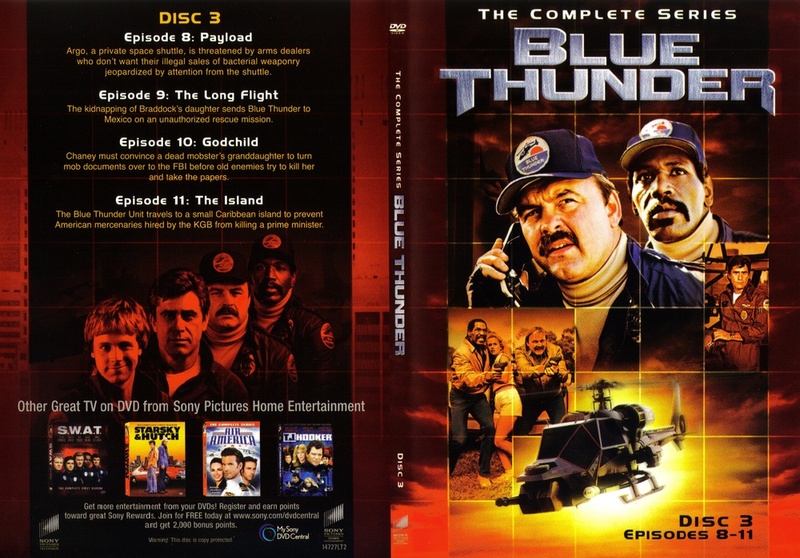 The source of reference for the upcoming digital companion as well as a finely packaged collection in its own right, The Complete Blue Thunder Series finally saw official release on DVD in 2006. 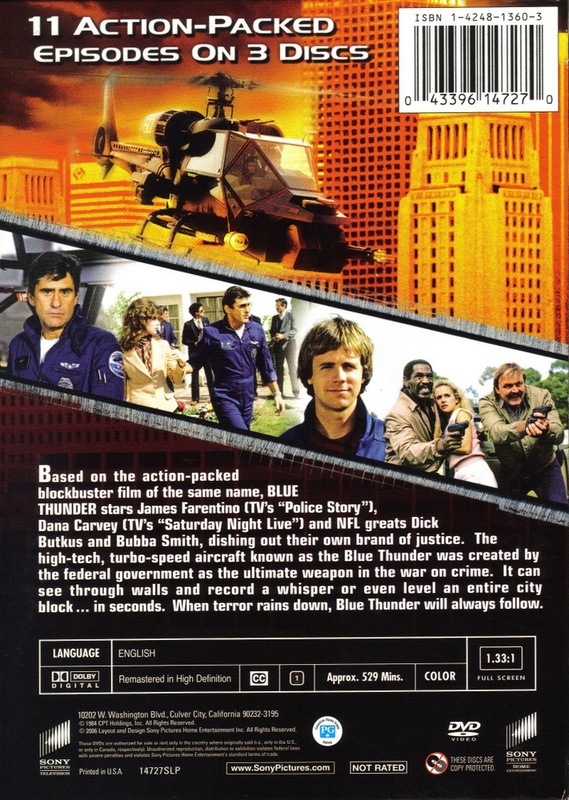 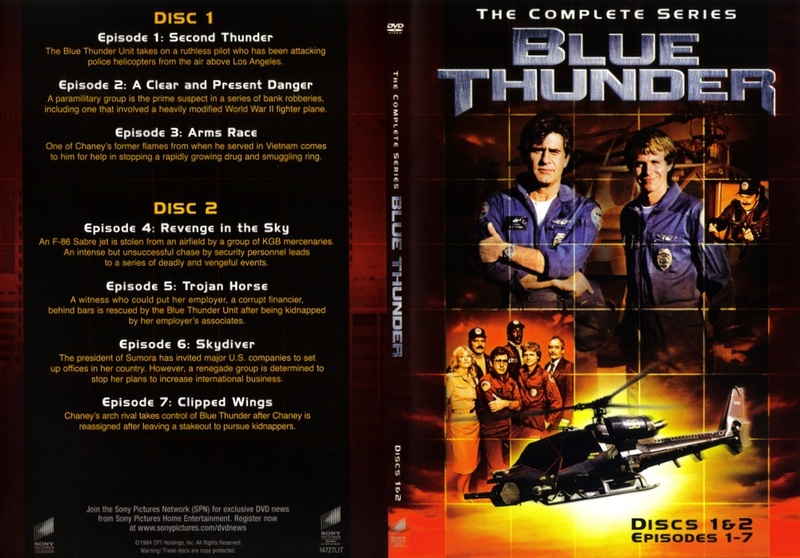 Not re-run as of 1993 in the US (and shown intermittently throughout the 90’s on BRAVO in the UK) this boxset from Sony Pictures released in semi-conjunction with the Blue Thunder Movie Special Edition DVD consigned the VHS releases of limited (only four from eleven) episodes to history while bringing the series to a new format fit for future generations.